Last month, the group Cascadia Hacks was officially formed to facilitate coordination between Cascadian tech communities here in the Pacific Northwest. Their goal is to increase open source collaboration, creativity and provide an established infrastructure for new projects. From the core urban centers of Portland, Seattle and Vancouver BC to the smaller cities and remote areas of the region, this effort works to bridge communication gaps, create a better facility for networking, notifications for upcoming events (such as Cascadia Ruby, Cascadia IT Conf or many others) and to generally help increase the awareness of what each city, area and group brings to the Pacific Northwest. It might be game design, crypto-parties, Tor development, open governance software, graphic design or establishing urban spaces and creative villages to help support the continued role that tech communities play. 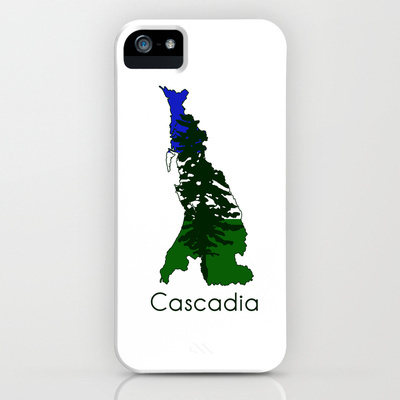 Cascadia Hacks is not politically affiliated, but instead seeks to help with the underlying mission of bringing together the individuals and communities throughout the bioregion. Stay tuned as they create a more solidified organization structure, bridge the topology and geography and generally bring people together to make things happen! 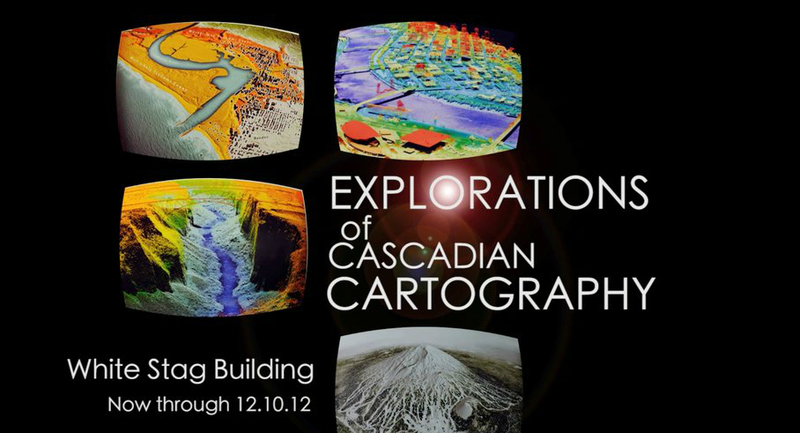 Explorations of Cascadian Cartography – A new map themed gallery set up for the duration of the 2012 North American Cartography Information Society (NACIS) in Portland OR, will be running at the White Stag building through December 10th. The North American Cartographic Information Society, founded in 1980, is an organization comprised of specialists from private, academic, and government organizations whose common interest lies in facilitating communication in the map information community. Their goals are to improve communication, coordination and cooperation among the producers, disseminators, curators, and users of cartographic information. This year’s conference was the first hosted in Cascadia since 2004, which continues to be at the forefront regional geographic, social, and spatial mapping projects. This emerging trend of mapping Cascadia will also continue this weekend, with the Decolonizing Cascadia, the 7th Annual Regional Mini-Conference being hosted by the University of British Columbia, in collaboration with geography departments around the Pacific Northwest to talk about newly emerging formations, and what these social and economic developments might mean for a continuingly connected and integrated region. For directions, the White Stag Building is a part of the University of Oregon campus, located on Northwest Naito Parkway and West Burnside Street. Below is a full listing of 2012 Olympic athletes from around the Pacific Northwest, their event, standing and rank. A big thank you to reddit user Khavanon, who has been meticulously keeping track of the statistics on this Reddit thread. (FINAL) Last updated August 13th 2012. *Rankings calculated after removing Cascadians from USA/Canada's non-team medal count. *Effect of team medals in rankings noted due to some team members coming from outside Cascadia.